“In the spring a young angler’s fancy lightly turns to thoughts of carp. Spring is the season for zig rigs” apologies to Tennyson; but watching the web rather than the water this week; Carppuzzle asks why then try and ban them? A recent post on Carpology saw Mat Woods and Simon Whiteby debate whether zigs should be banned due to foul hooking or perhaps maximum lengths should be set. Fisheries may ban zigs sighting fish safety, as many have done with barbed hooks, braid main lines, tiger nuts, hemp, closed side umbrellas (?) the list is often more eclectic than a Danny Fairbrass spod mix! 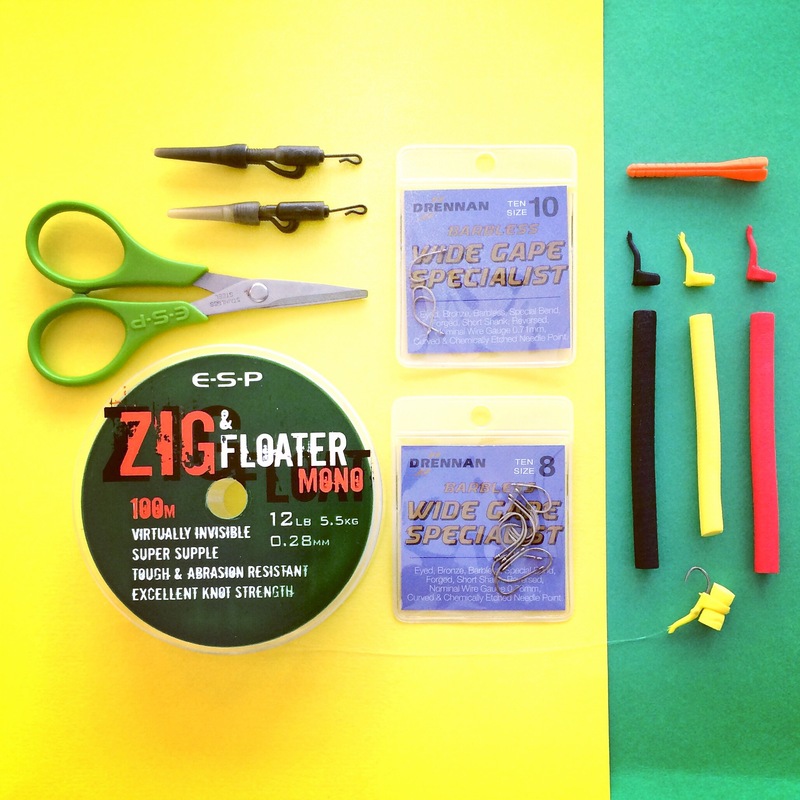 Seriously, spring has arrived and the fishing giants are pushing zig kit from bugs to boxes. But you could argue that any hook “popped” off the bottom has the potential to foul hook a fish – i.e. a chod over a weedy bottom. Equally surface fishing could cause foul hooking. And any rig tied incorrectly has the potential to be deadly. I think in this instance thoughts of a ban are based on the traditionalist view that carp fishing should be “hard”. Zig fishing is perceived as easy, for noddies, right. I mean where is the water craft in slinging a piece of glug foam out and waiting for a carp to bump into it! Wrong, carp fishing, even zig fishing is hard when you think of the time you need, access to a good venue and the cost of that ticket, all the gear, and finally the mental strength to persevere after blanking even when you have found the little buggers. Such bans actually add to an outsiders view that carp fishing is elitist and isolationist; a closed shop for odd balls if you like. Some carpers seem determined to maintain this stance in “their” sport, for example no publicity bans on waters. With the incredible growth in the leisure fishing industry I believe educating carp anglers must be the focus as manufacturers push “must have products” for each season. Fisheries will always want to protect their assets but education is key not just for me, the novice, but the next generation. Especially when the EA has made licences free for under sixteens. With all the carpy magazines and online tutorials I firmly believe education is the answer to this particular debate rather than a knee jerk reaction in the form of a ban. Tightlines, even zig zag lines?